GameCrate has teamed up with Newegg and AMD to gift three of their fans with amazing gaming PC and more! 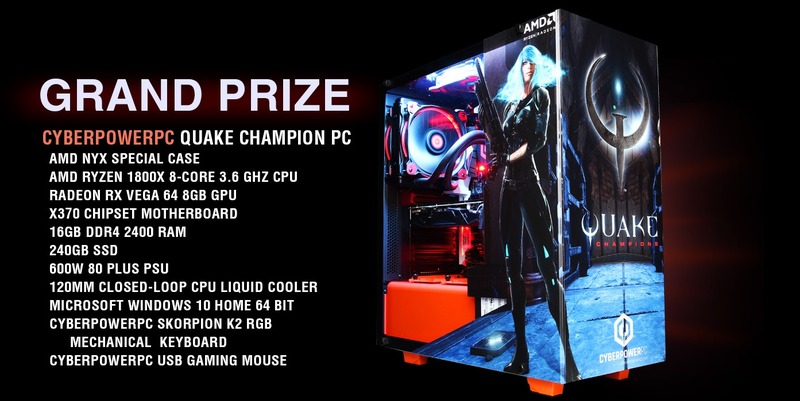 To enter in this CyberPowerPC Rig, AMD Bundle and Game Bundle Giveaway grab your free entries by following few simple steps listed down below! AMD introduces SenseMI technology, a set of learning and adapting features that help the AMD Ryzen™ processor customize its performance to you and your applications. Finally: performance that thinks. A sophisticated grid of smart sensors that monitors CPU temperature, resource usage and power draw brings cool and quiet operation to your AMD Ryzen™ processor with intelligent power optimization circuits, plus the low power requirements of an advanced 14nm FinFET manufacturing technology. The Administrator will notify the potential winners by telephone (if available), email, and publication of the names on www.gamecrate.com following the drawing date.